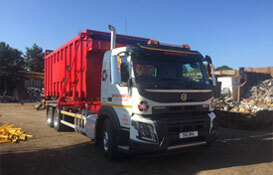 As part of the Metal Recycling Industry, Bryan Hirst Ltd continuously provides all types of Metal recycling services. We specialise in the recycling of all ferrous and non-ferrous metals. We are here to help you deal with all your electrical waste material in compliance with current and future Waste Electrical and Electronic Equipment (WEEE) Regulations. 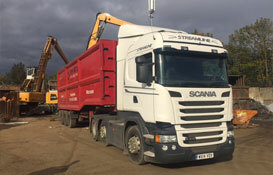 We can offer a unique collection to suit you- anything from a single item to an artic trailer full of W.E.E.E. 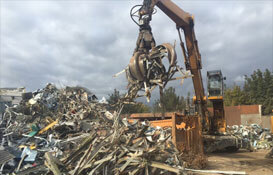 As part of the Metal Recycling Industry, Bryan Hirst Ltd, continuously provide all types of Metal recycling services. 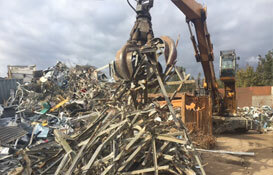 We specialise in the recycling of all ferrous and non ferrous metals. 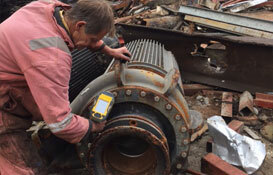 We can provide specialist plant and personnel to help with the removal and dismantling of all types of metal structures large or small. We are fully regulated by the Environment Agency and the local authority we are also approved contractors for the Ministry of Defence Qinetiq and BT.